It’s not really uncommon to hear someone giving a compliment to others they had just met by saying, “What an amazing aura you have!” And it’s not uncommon for most of us to not really know what that means, either! And since knowledge is power, let’s delve into what an aura actually is. 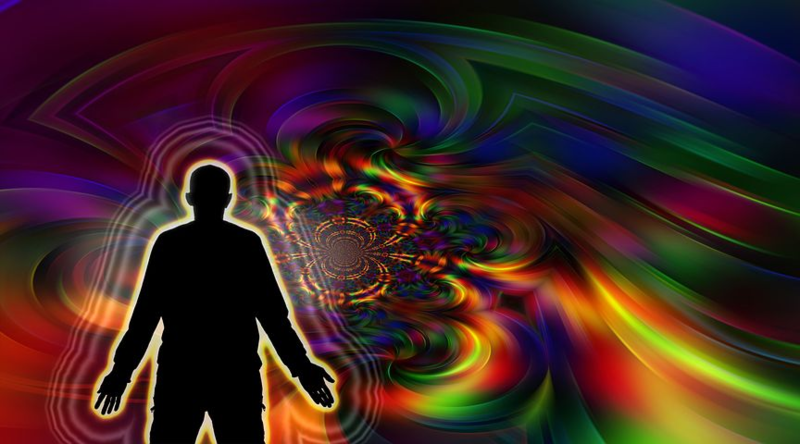 To explain it in a way that may be a bit more understandable, the aura is best described as a electromagnetic field of energy that encompasses a person, that has a number of layers, namely seven, and comes in different colors, each meaning different things. Reading auras and understanding the aura color meanings can be intricate and reveal quite a bit about a person’s personality or the current state that they are in. Let’s have a look now at the different colors of an aura and what they represent. White Aura: The white aura usually means that a new energy is being developed. In other words, it is a reflection of something new. Something on the spiritual level, as white usually represent purity and innocence. Black Aura: The black aura is representative of dark emotions that are stubborn and unforgiving. Black is able to eat away and cover all other colors of the aura, making is quite intense in the most negative of ways. Red Aura: The red aura is connected to the physical body and is representative of the heart and circulation of the blood flow. Depending on the depth of the hue, this will indicate what the energy is. If the red is dull then this means there is anger and negative emotions. However, if it is a deep or strong red, this usually indicate passion and strength. Yellow Aura: The yellow aura is indicative of comfort, inner peace and happiness. It is thought to be connected to the spleen on a physical level as well. Blue Aura: The blue aura is displayed through a person that is sensitive and caring and full of empathy. On a physical level, it is connected the thyroid and the throat. Different hues of blue, like the red, indicate different kinds of energies. If the aura is leaning towards a darker and muddier tone of blue, this is leaning towards a negative energy which translates into a lack of self doubt and an inability to trust. If the blue is more of a royal blue though, then this mean you are so spiritual that you may even be somewhat close to being about to be in touch with a higher plane. Green Aura: If a green aura is present, this means that the person is very much in touch with nature. It presents a healing and loving nature in those who hold it and is indicative that the person is very much a giver to all those around them. On the other side of the spectrum though, if the green is one that is very dark, this could mean that the person is an envious and jealous type that lets negative emotions get the best of them. Violet Aura: This aura in particular is linked to those that are idealists. They want to save the world and will contribute to society and their loved ones alike as much as they possibly can. They work hard but can also undertake a lot of stress in their daily lives. Magenta Aura: Just as the name is unique, the color of this aura too, is quite rare. People who carry around this aura tend to be strange and eccentric, and certainly stand out from the crowd because of their individual unique ways. These individuals sometimes struggle to fit into the norms of society but are amazing artists and have an incredible amount of energy. Indigo Aura: This aura has only come into fruition, or has been identified, recently. It is certainly one of a kind but signifies that its carrier is a leader and an example of what should be good of the world and its people. You can find that many children in this age carry around an indigo aura. Auras and the colors they present are extremely indicative of a person’s energy and personality. People are ever changing, and so are their layers and auras. It’s important to pay attention to what these colors represent so that you are able to see what a person is truly like. If you are unable to tell what kind of an aura a person has, pay attention to their traits and you’ll be able to get a pretty good idea.